Yahoo may be the blurry ghost of what it once was, but there's no denying that millions of people still rely on their Yahoo email addresses as a means of communication. For those users and the millions of potential new users who may be getting a smartphone for the first time soon, Yahoo is optimizing its Mail service by introducing a new app for Android Go and a new mobile web experience. One of the most useful features of Android N is the improved notifications handling: notifications coming from the same app are bundled together and can be unbundled and dealt with individually, and there's direct reply support to quickly answer a message without opening the app. Not a lot of apps have added support for both of these features, but now Yahoo Mail is joining this elite group. 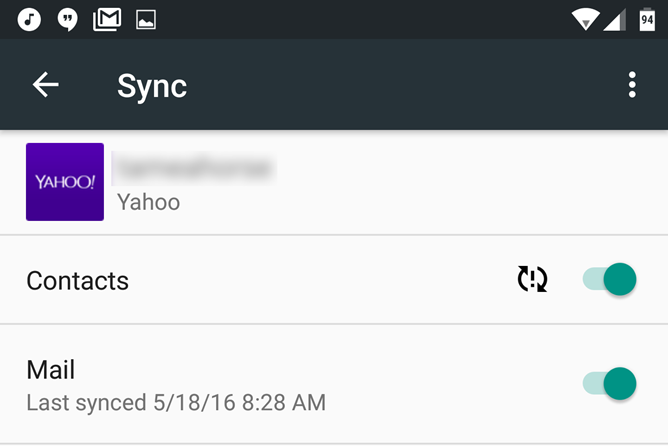 Thanks to a new update, Yahoo's mailing app lets you send direct replies to emails from the notification, and it bundles notifications together for less redundancy and clutter in the drop-down. Yahoo is having a rough week in terms of security. It's probably just a coincidence that a considerable update for the official Yahoo Mail app comes days after one of the biggest password leaks ever. Even so, it's nice to get official support for something like Google's Fingerprint API. That, among other new goodies, is waiting inside the latest Mail update in the Play Store. On my Nexus 6, it's version 5.9.1. Ever used multiple inboxes in the same email app and wished there was an easy visual differentiator between each one? I know I have. And instead of Gmail fixing the problem, the solution comes to us courtesy of Yahoo's email application. 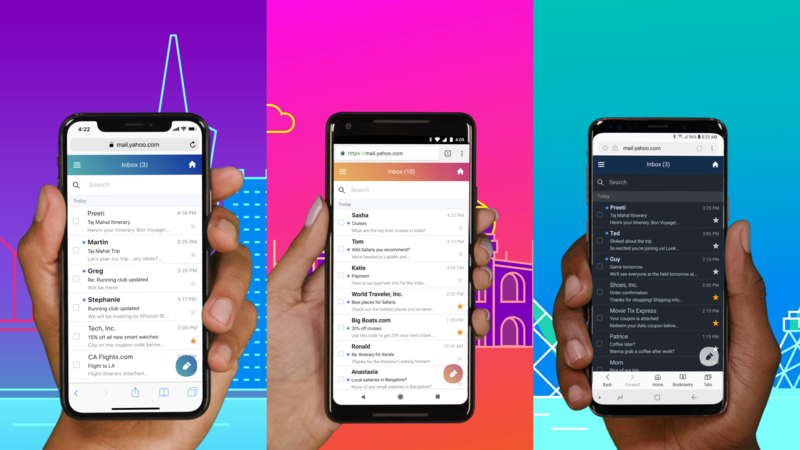 In the most recent update to Yahoo Mail, the app is getting a new theming feature where you could pick an individual color out of 11 possible options for each of your inboxes. 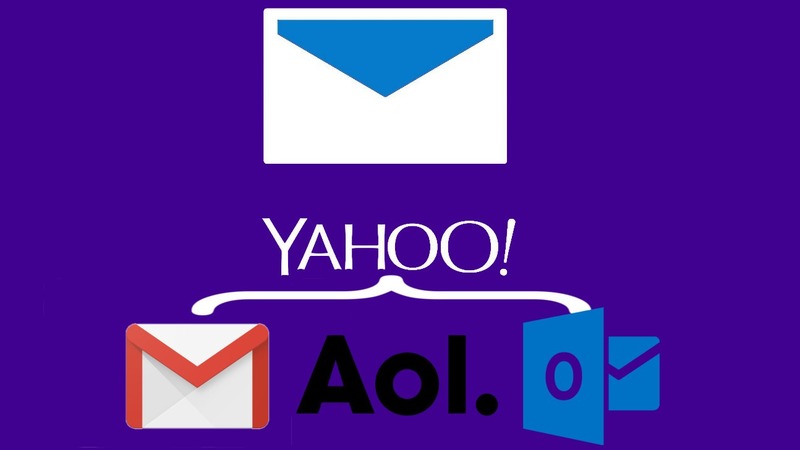 Your Yahoo inbox could be purple, your Gmail could be red, and your Outlook could be blue. Or you can use a blue inbox for Yahoo — who's gonna stop you, you rebel! Yahoo Mail may not have the proportion of users that it used to have, but there are still nearly as many people using the site as there are citizens in the US. With over 100 million installs, at least one or two people are using the Android app. Those folks are gaining a few new ways to manage their inbox in the latest update. 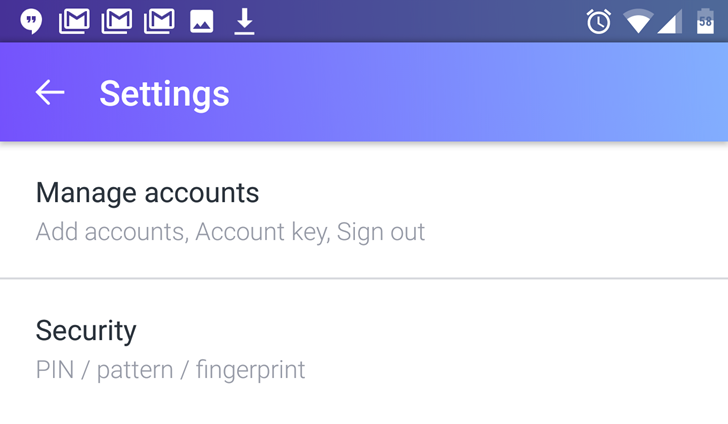 Yahoo Mail received a pretty big update a couple of months ago with an interface revamp to Material Design (or Yahoo's interpretation of it), Account Key to sign in on your mobile device without having to input your password, and support for other mail providers like Outlook, Hotmail, and AOL. You may have noticed that Gmail wasn't present in that list, but that changes today. Yahoo! is rolling out an update to version 5.1 of Mail that adds Gmail support so you can start checking your Googly inbox from Yahoo's app. I don't know why you'd want to do that, but I'm sure there are valid reasons why such a feature would be important. Yahoo Mail remains one of the company's biggest properties, and it's going all out with the release of version 5.0. This isn't just about a visual design, which we detailed when we got our hands on the beta. There are new features that can be found both in the app and on the web. This release comes with the Yahoo Account Key, a way to sign-in without having to re-enter your password. Instead, it relies on push notifications sent to your mobile device. Just tap the button to get in. Hopefully someone else doesn't have your phone at the time. Many of us would be surprised just how many people still sign into Yahoo accounts. The tech giant may not compete at the same level of a certain other search engine, but millions of people continue to store their mail on its servers. A number of them will soon sign into the Android app and come across an updated interface. And it's a pretty one, so to speak.